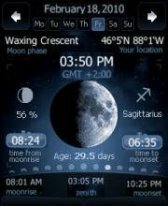 astronomy freeware downloads for Windows Mobile Phone. 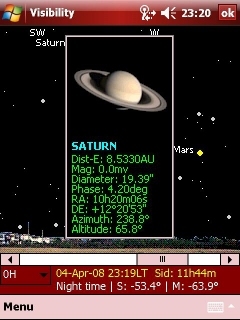 Pocket PC application simulating the night sky. .
Sun'n'Moon is a today plugin which shows the set and the ris. 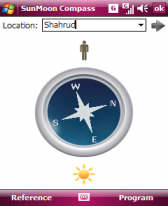 Summary: Astronomy software for amateurs and professionals. 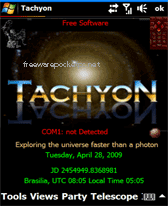 Summary: To date, the classic "Taiyoukei" is the largest database of the Solar System and beyond for Pocket PCs, now rolled out as version 2.00 with updates and restructured menus.